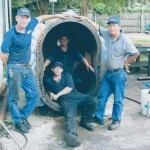 At Pat’s Pump & Blower in Orlando, FL, we are a worldwide entity for industrial blower sales & repair. Many disaster cleanup companies use industrial blowers and fans, which can provide a quick and easy way to dry out a flooding disaster. At Pat’s Pump & Blower, we offer industrial blower sales & repair for all of your commercial needs. We have worked on blowers made by many of the top brands, so we can easily diagnose and repair problems without causing too much stress for you. Since these heavy-duty machines are an important part of your business, we can even schedule a time where we come to your office or job site to inspect the issue and discuss options for repair. In addition to service and maintenance, our industrial blower sales & repair team can provide tips and recommendations on what type of new blowers might be beneficial to your company. As technology continues to expand, the blowers become more efficient while using less power. This is a great option to help your team reduce the amount of time it takes to dry out an area in a commercial or residential property. At Pat’s Pump & Blower, we are a worldwide entity for industrial blower sales & repair. Our service area includes Orlando, Florida, as well as many of the surrounding cities. We can also offer on-site inspections to any property within the state of Florida. Our reputation precedes us as one of the best suppliers of industrial blowers, fans, condensers, pumps, jetters, and more. Call us today to find out what we can provide to help your business become even more successful.